Help us expand and improve our campus to better serve the children of Katy, Texas and West Houston! Your donations, now through December 31st, will go towards two transportation vans, and at the Elementary school campus, an outdoor classroom and mounted projectors in the classrooms. PLUS: every dollar donated between now until December 31, 2018 will be counted towards a chance for your favorite teacher or staff person to receive one of two great prizes! Donate now at aristoiclassical.org/give/ or email or mail a completed donation form to the Business Office. 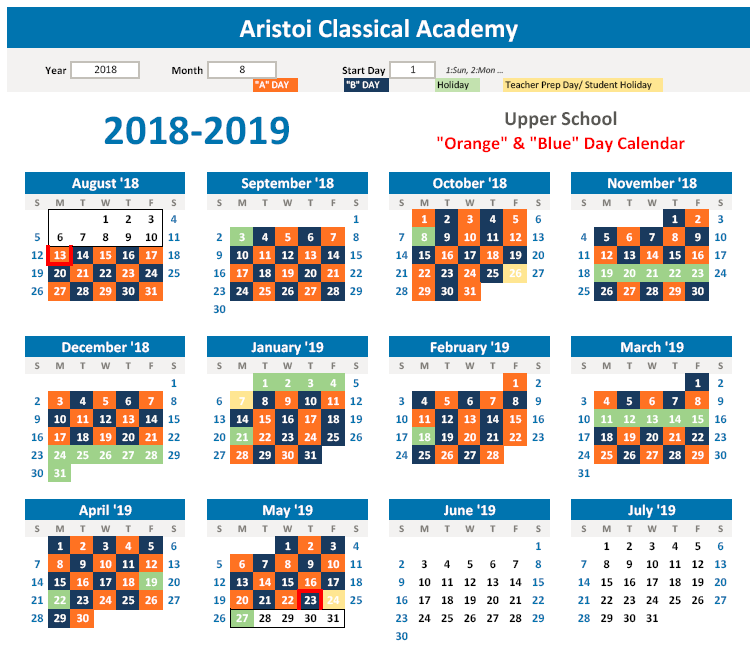 Aristoi Classical Academy is a tuition-free charter school just outside of Houston, Texas, and provides the individual attention and support of a private school at no cost to its students. 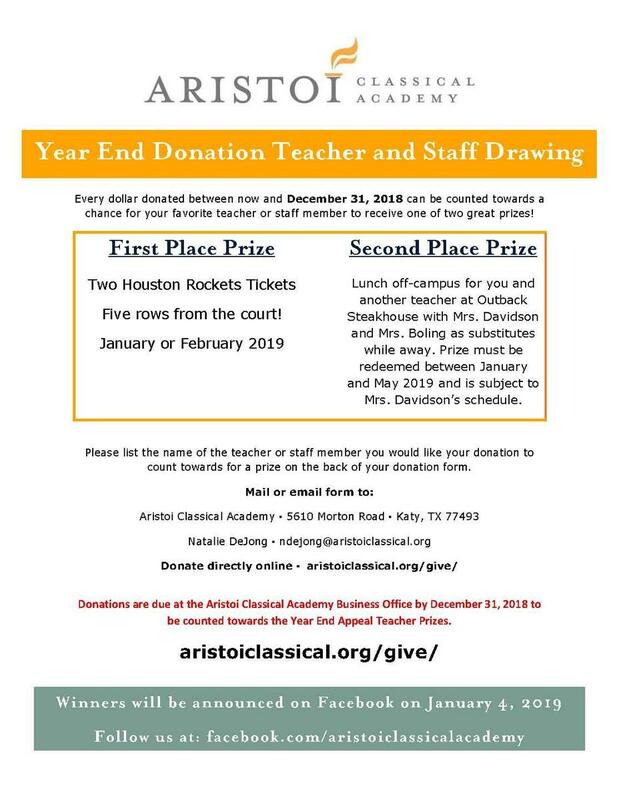 We are a non-profit organization and, as such, all donations to Aristoi Classical Academy are tax deductible. In addition to cash donations, Aristoi Classical Academy accepts donations via check, cashier's check, money order, Pay Pal and online through square at https://squareup.com/store/aristoi-classical-academy. Paypal donations can be made using the link shown on the right. Donate via Pay Pal to Aristoi Classical Academy now.